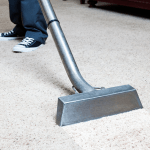 We’ve been carpet cleaning in and around Sheffield since 1988. Our mission is to help you avoid uneducated, uninformed and sometime unscrupulous carpet cleaning companies by providing you with an outstanding customer experience, and we back that up with our No Quibble Money Back Guarantee! Are they a Trustmark Government Endorsed Standards approved company? Unlike some other “pay and you’re in” ‘Rated Trader’ schemes Trustmark is a not for profit organisation endorsed by the government to protect standards. They don’t make money from the traders who pay them to be endorsed, so they won’t just endorse almost anyone like some schemes, you can find out more here. 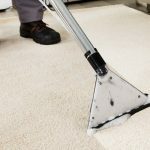 Check they don’t only have one method of carpet cleaning or just one type of carpet cleaning product. We have a variety of carpet cleaning methods and carpet cleaning products to choose from, including ‘Woolsafe’ Approved products. PLUS, check they undertake regular training. Many cleaners do initial training then never bother again as they “know it all and have done it for years!” We’re trained to the highest standards in the industry so you get peace of mind that we’ll provide the most appropriate method and product to meet your individual carpet cleaning needs. We also do annual update training with our suppliers. We’re Local Sheffield Carpet Cleaners. We’re a local family business, based in Sheffield and owned by Allan Simmons Jnr. We’ve been in the industry since 1988.